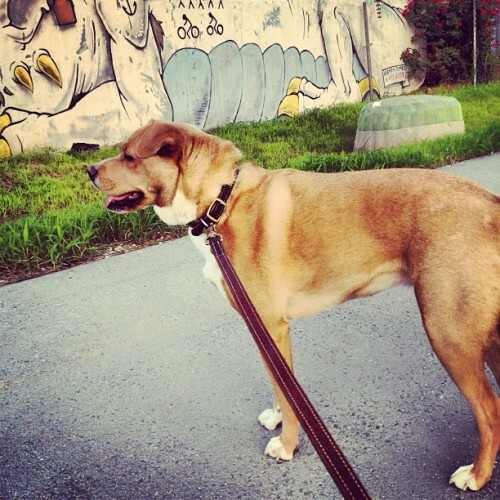 A new place to walk my dog...the Beltline! It's here! Well, for the most part: there is the slight issue of a lack of lighting, making night-walks ill advised, along with a couple incomplete areas [it's just walking in a little dirt, no harm there]. But I can finally walk from my block all the way to Piedmont Park! [or in the opposite direction to Old Fourth Ward Park!] This is huge for me and my neighborhood. The path is really wide and is perfect for biking, running or walking happy dogs [like mine- see below!]. 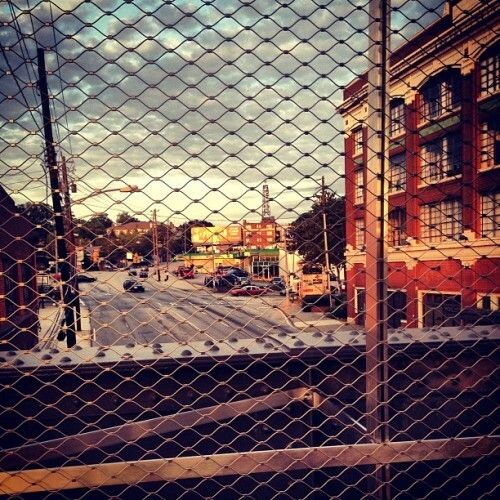 The walk from my house to the future Ponce City Market location is ONLY around 10 minutes [and that's more like a leisurely stroll], and on that walk I get an incredible view of the Atlanta skyline, along with art installations done by local artists [check out the great street art Kona found below]. 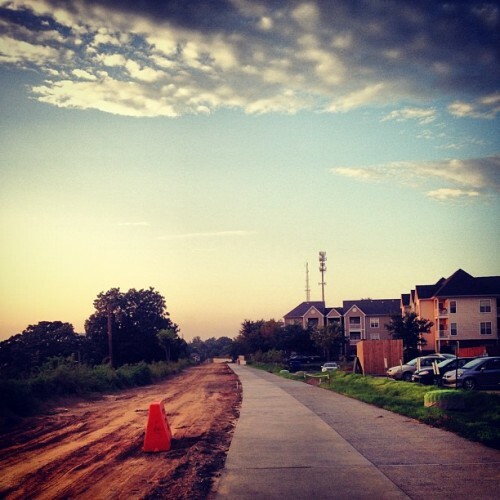 Eventually there will be lots of green space lining this thoroughfare, which will make it all the more enjoyable. It was weirdly strange walking across the bridge over Ponce, because this is a street I use literally everyday, so having this new perspective on things was fascinating [even though, really, it's just a walking bridge]. 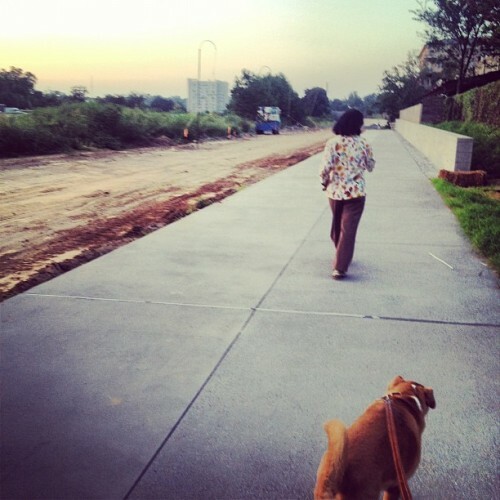 The sun was beginning to set over the skyline to my right as I walked with Kona, and despite being a little hot [it's post-Labor Day, if I can't wear white, I shouldn't have to be subjected to the oppressing heat of summer!] the walk was perfect. I could easily see myself here everyday, taking advantage of one of the many perks of living right in the heart of the city. What was funny was there aren't a ton of people who are using the path yet, [this may have to do with the numerous signs saying "CONSTRUCTION ZONE KEEP OUT"] but those who are have the same giddy look about them. I stopped and chatted with a guy on his bike, along with a group of runners, and we were all so thrilled about the new, fully functional path. I think my fellow Beltliners are slightly friendlier than your average Atlantan [though compared to up North, people here are generally very pleasant]. Now that the weather will start cooling down [I welcome 80 degree weather with open arms! 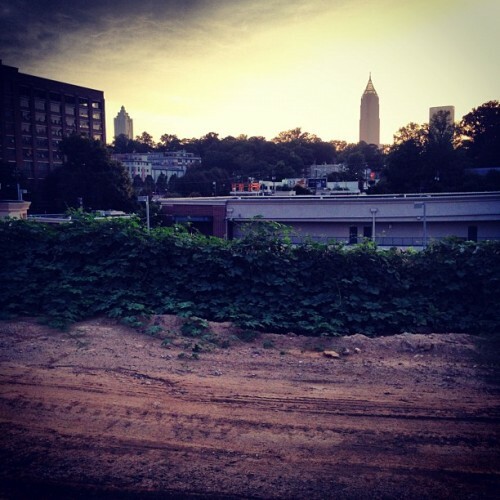 ], I highly encourage you to take a walk [or run, or bike ride] along the Beltline and see what all the buzz is about. 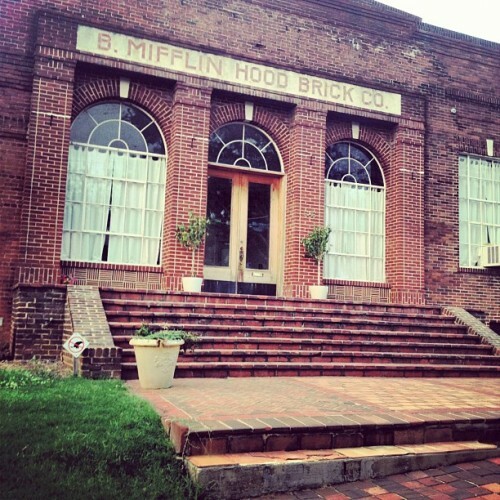 A historic building on the way to The Beltline. Kona has a great eye for art. The sun beginning to set over Atlanta. 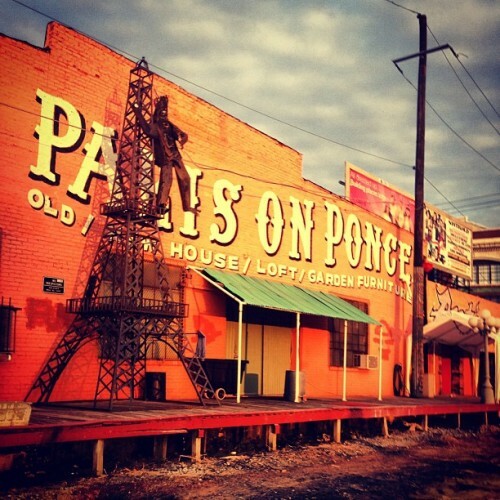 A new perspective of Paris on Ponce. 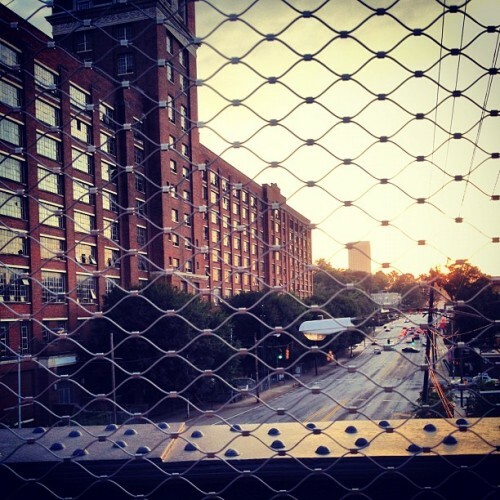 Standing on the Ponce bridge, overlooking the future Ponce City Market. The view towards my house. In "atlanta", "georgia", "paris on ponce", "ponce city market", "street art", "sunset", "the beltline", "travel", "walk"